Marriott Manila has officially made weekends the best day in the week as it offers Unlimited Steaks and dessert at Cru Steakhouse for lunch! Sunday Roast is the most popular British tradition as it represents family coming together over good food. Marriott brings a new meaning to that tradition – unli steaks in its multi-awarded fine dining restaurant – a better version, yes? Cru Steakhouse is famed for its exceptional menu and elegant ambiance. 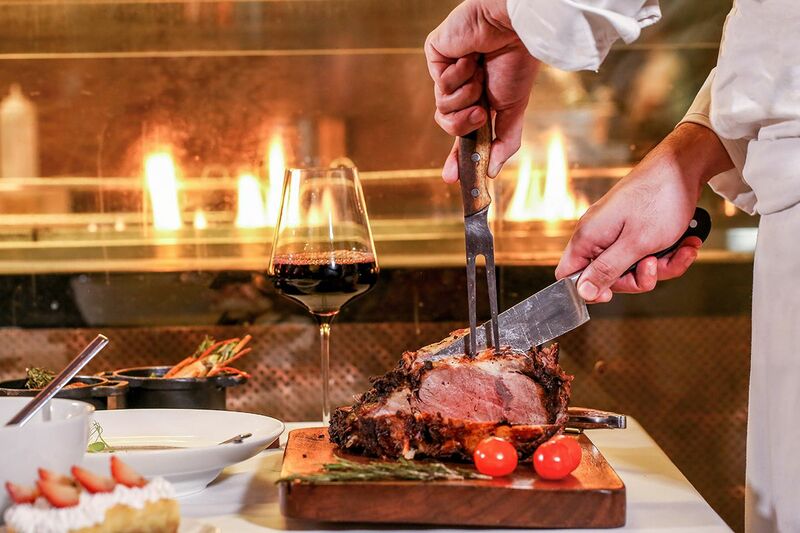 The highlight of this steak-all-you-can experience is Cru Steakhouse’s famous U.S. Certified Angus Roast Beef – known for its high amounts of marbling making it more flavorful, tender and juicy. As much as steak is satisfying on its own, Marriott created this a full-course lunch experience. It comes with two side dishes such as sautéed root vegetables and herb roasted baby potatoes. There is also a choice of starters either a Creamy Mushroom Soup to perfectly warm up the appetite, or Garden Salad which is a mix of greens, cherry tomato, orange segment, blue cheese and drizzled with balsamic dressing. As if that is not yet enough, a slice of classic apple pie is served before you leave. Marriott also priced down selected drinks just for this Sunday Roast experience. This includes a long list of premium sparkling, red and white wines. This unlimited steak offer will be available from 11:30am to 2:30pm that makes it more accessible for families with kids for an enticing price of Php 1,700 nett only, indulging on premium steak can be your weekly habit. After a long week, this is a delightful treat to look forward to or pump you up for the coming week. Steak feast weekly, why not? Then, get the best quality at Marriott Manila. For inquiries, call (02) 9889999 or visit manilamarriott.com. To keep up on the hotel’s latest offerings, follow @manilamarriott on Facebook, Instagram, Twitter and Snapchat.